To find out more about LAOKO, or report an injured animal phone 6456 1313. Photo: LAOKO Facebook. The sound of chainsaws over the weekend and the steady rise of smoke from household chimneys is yet another reminder that winter is approaching. Some parts of the region have already had a taste of the snow season ahead, and it won’t be long before the bulk of the one million people who visit the Snowy Mountains each year start streaming in for their winter fix. For local wildlife group, Looking After Our Kosciuszko Orphans – Snowy Mountains Wildlife Rescue (LAOKO) that huge increase in traffic results in a big spike in injured and orphaned native animals needing care. 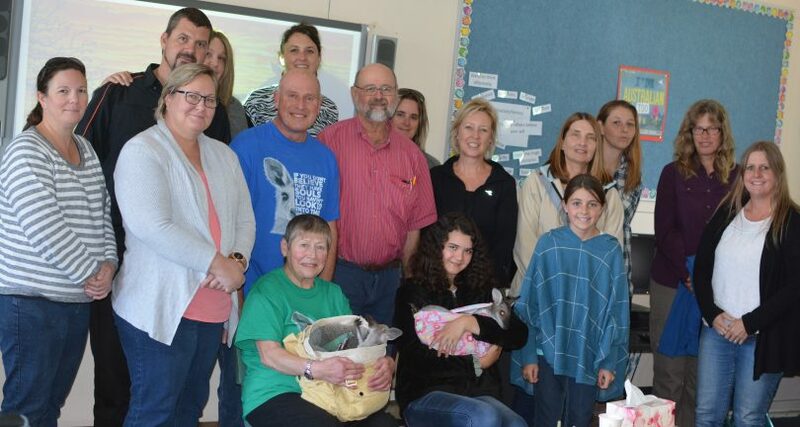 LAOKO members have just taken part in training on the rescue and care of injured or orphaned macropods (kangaroos and wallabies) in readiness for the increased demand. Getting ready for winter, participants in the recent macropod workshop along with Michael Milne (middle row, third from left) LAOKO President Brendan Diacono, (middle row, fourth from left), and LAOKO animal co-ordinator Linda Milne – seated, front row, left. Photo: Supplied. LAOKO President Brendan Diacono says motorists also have a role to play. “If you hit an animal, please take the time to stop and check its condition,” he says. “If it isn’t dead contact a wildlife group or the police so it can be euthanised or taken into care. 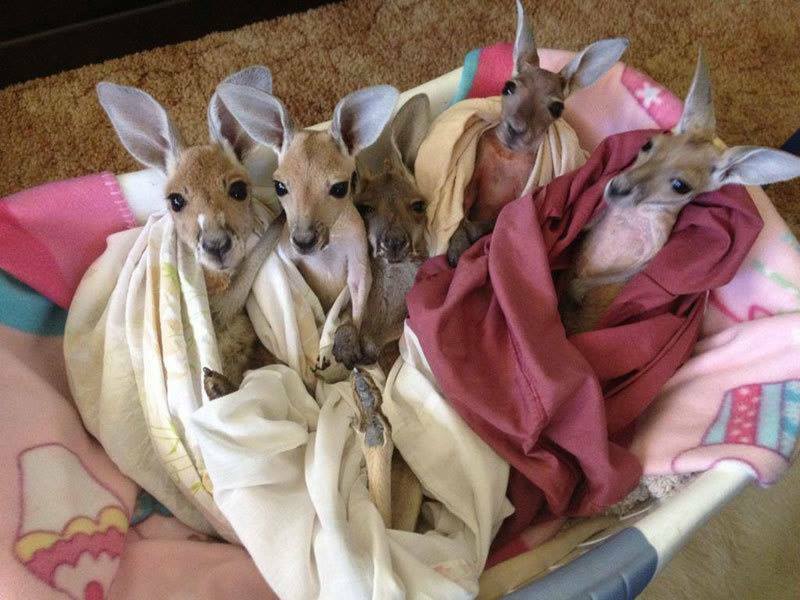 “If there is a joey, bundle it up and keep it nice and warm. They respond very nicely and calm right down when you shove them under your jumper. Another LAOKO training day will be held on May 4 with a focus on how to rescue and care for injured or orphaned wombats. Photo: LAOKO Facebook. For those wanting to do more, Brendan says there is a range of important roles and skills needed to run a wildlife group such as LAOKO. “While LAOKO needs carers, we always need people to staff the emergency phone roster or help with fundraising or administration,” he says. Extra hands are also needed to rescue animals or euthanase animals which are too badly injured to be rehabilitated and released back into the wild. 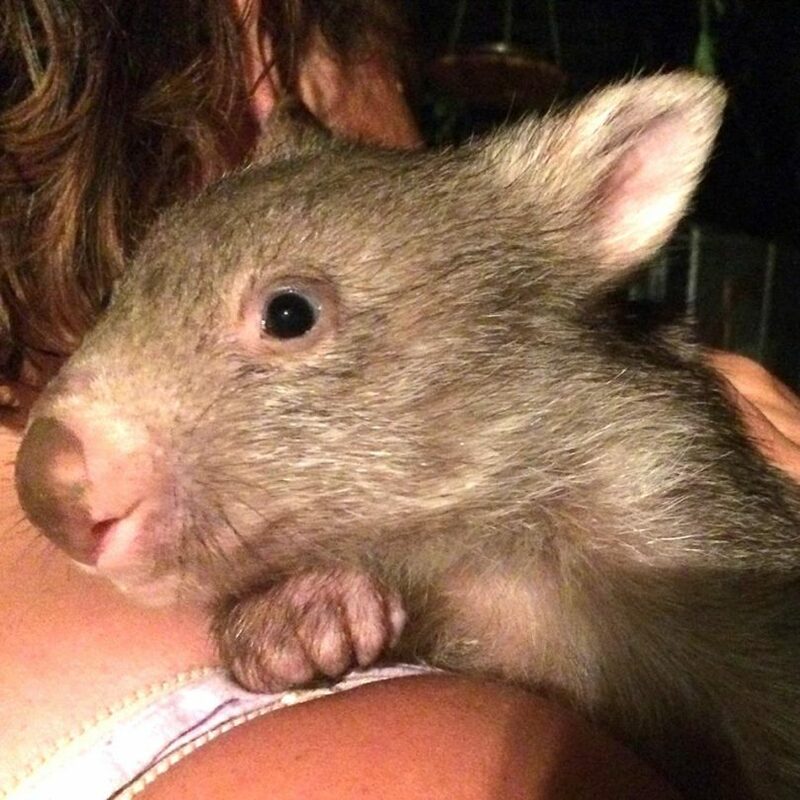 Another LAOKO training day will be held on May 4 with a focus on how to rescue and care for injured or orphaned wombats. “Experienced wildlife carer Shirley Lack will be presenting the course,” Brendan says. To register for the training, find out more about LAOKO, or report an injured animal phone 6456 1313. 6 Responses to Snowy wildlife carers ready for winter, what can you do to help? Great interview and advice from Brendan. For our South Coast region you can call us at Wildlife Rescue South Coast on 0417238921 or call WIRES. Don't drive at dawn and dusk, especially to and fro the snow fields. And STOP if you hit an animal as it is your responsibility!